A brand new E-Class hits the market in 2016, so it's time to eye up the one before it now. 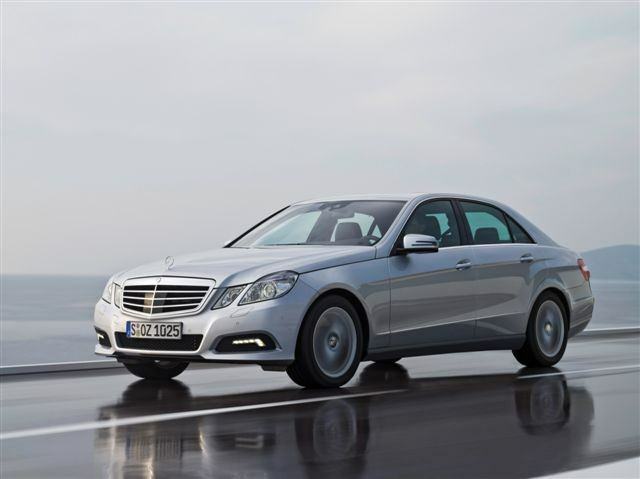 The E-Class has always been the true core of the Mercedes range. Forget the increasing plethora of SUVs and crossovers. The mighty S-Class may garner more headlines for its tech, and more of us can afford the smaller C-Class, but the E-Class is what defines Mercedes-Benz, the car that better reflects the character of the brand, in an unbroken line stretching all the way back to that original ‘Adenauer’ 190 of the fifties. The model introduced in 2008 was something of a return to form for Mercedes. The brand had suffered terrible reliability issues on the 2002 to 2008 E-Class, so the quality on this one had to be right. Thankfully, both for owners and the marketing department, that seems to have been the case. The E-Class encompasses an absolutely enormous range, from the most basic E 200 CDI in ‘taxi’ spec with cloth seats and a manual gearbox, all the way up to the rip-snorting 585hp, 5.5-litre twin-turbo E 63 AMG high-performance saloon. You can have an E-Class with a V6 diesel, a V8 petrol or a diesel hybrid powertrain, but the core models really are the E 220 170hp CDI diesel or the E 250 201hp diesel. Both are basically the same engine, a 2.1-litre unit in different states of tune, and both drive the rear wheels through either a six-speed manual or seven-speed 7G-Tronic automatic transmission. Obviously, the E 250 has considerably more power and poke than the E 220, but don’t discount the smaller engine – it still has sufficient grunt for most purposes, and it is quite a bit cheaper to tax and fuel. While most E-Classes that you’ll find will be the saloon version, tracking down an estate is well worth the effort. The E estate is one of the most practical cars around, with a massive boot measuring close to 700 litres and even the option of extra seats. It’s long been a tradition in Mercedes estates that you can order a pair of flip-up jump seats in the boot. They’re strictly for kids, size-wise, but they do turn the E-Class estate into an actual seven-seater, and a much more desirable one than any MPV we can think of. As ever with any high-end German car, you’ll find that the options list is very long and very expensive, so there are probably no two E-Classes equipped to precisely the same standard. Key options to have though are the automatic (always de rigueur on any Mercedes and it works better with the awkward-to-reach parking brake) and leather trim. Avantgarde is usually the best trim level to go for – well-equipped without being cripplingly expensive. As far as problems go, they seem to be thin on the ground with few of the troubles associated with this car’s predecessor. Check everything electric to make sure it’s working OK and make sure that the 'Comand' radio and infotainment system is clicking through all of its menus quickly and cleanly. Make sure that the automatic picks up gears without thumping or clunking and check underneath the car for signs of damaged suspension. If it rides with anything other than serene softness, suspect shot dampers. It’s a bit of an old cliché but do check and see if it’s been used as a taxi at any stage, and if the power delivery feels a bit flat or inconsistent, you could be looking at fuel injector replacement. Incidentally, the whole range was facelifted in 2012 with new single-unit lights replacing the old four square lamps, while there were some detail updates and improved materials on the inside too. Take your time and track down an E 220 CDI Avantgarde auto estate with the optional jump seats. Considering how poorly the old E-Class did in reliability terms, this model represents a serious turnaround and a major return to form. Bigger, more comfortable and more practical than its direct rivals, the E-Class is still the most Mercedes-like Mercedes around and it comes hugely recommended.